What is obtained is a “fresh” grassello di calce, it is left to rest in pits where the seasoning process begins. It takes a minimum of 3 months for the lime used in preparation of mortars, or a minimum of 24 months for that used as binder for finishing coatings, such as the rialto lime based finishes. During the seasoning two different and complementary reactions take place, one is chemical, the other is physical. Both are extremely important to obtain a high quality lime. From a chemical point of view, the hydration of the two oxides goes on at different speed for lime and magnesium. 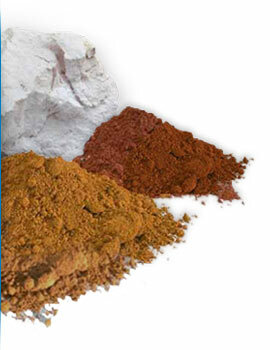 Magnesium oxide needs a much longer time than calcium oxide to become hydroxide. The 16% content of Magnesium in the mineral is very important, it gives to the final applied finish an immediate abrasion resistance and an excellent weather resistance with the aging. 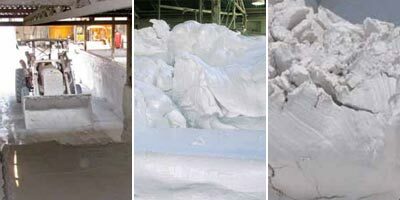 That’s why in the modern lime factories magnesium is often seen as a contaminant or impurity to be avoided. 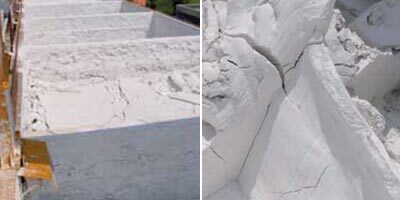 Most modern Lime has to be ready to use in a quick time, sold and used as hydrated lime in powder or fresh grassello, to produce lime plasters, paints and stuccos. In fact, the unwanted presence of unhydrated calcium or magnesium oxide in the decorative finish creates uncontrollable alkali aggressions of the pigments or other component of the coating, which requires completely redoing the job. During the long seasoning the physical change becomes more and more important. After the initial stage in which the solution of calcium and magnesium hydroxide has a very low viscosity, the grassello changes its structures becoming more creamy and “greasy”. Grassello was originally named after this physical state, “grasso” means fat, “grassello” means “fatty and greasy substance. After 3 months the seasoned slaked lime is creamy and tender; after 24 months of continuous hydration, the particles morph from macro to micro crystals in an orderly structure, oriented by a weak electric field, giving softness and consistency to the slurry. Grassello seasoned for 24 months has so much body that it can be cut into blocks. Now we obtain the raw material used as the binder in the production of rialto lime based finishes: the grassello di calce, seasoned for at least 24 months.